You’ve probably noticed a new noise recently. An excited crackling in the air. A soft chattering about something called “content” (or “UX writing” to some), and how it’s actually quite an important part of product design. You’ve heard from some of the great and good of the design world about why you should hire a writer , the importance of writing as a design skill  or why you should think about content early in every project . They looked at data, they did user research, they explored a myriad of design solutions. But they were stuck. Whatever they did, they couldn’t properly break away from the old design. Zeynep was frustrated. Martin was miserable. But they’re nothing if not innovative, unpredictable types, and so they asked an unexpected source for help. They asked the Content team. We accepted the challenge. And together with Martin and Zeynep, we came up with a simple technique that revolutionised the way we do product design. We did what content people know best. We wrote. We wrote a “user conversation”. Armed with our user research findings, one of us played the role of the user and another the role of the app. Together we imagined what the user would say to us and what we wanted to say to her in return. As we went along, we wrote it all down. This was the very first draft, written in about 5 minutes. It was messy, but it was magical. The user conversation showed us what emotions the user would be feeling, what questions we’d need to answer, and the logical order in which we should ask her to complete each action. Once we’d tidied it up, the user conversation became our gospel. We printed it out and referred to it every time we had a decision to make. A later draft that we printed out and referred to every time we had a design decision to make. 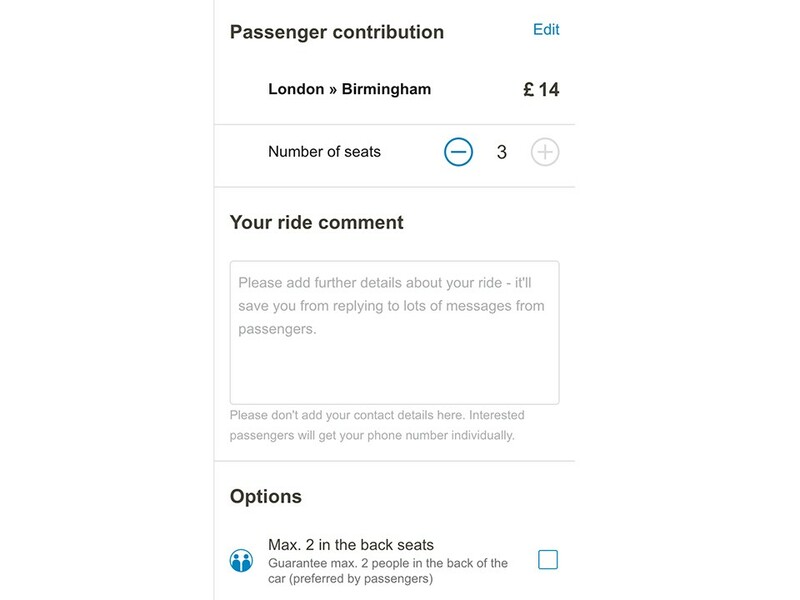 For example, we made a bold decision to ask the user where they’re going before asking them where they’re leaving from. This was informed by the user conversation — it was a more logical, human way to do it. 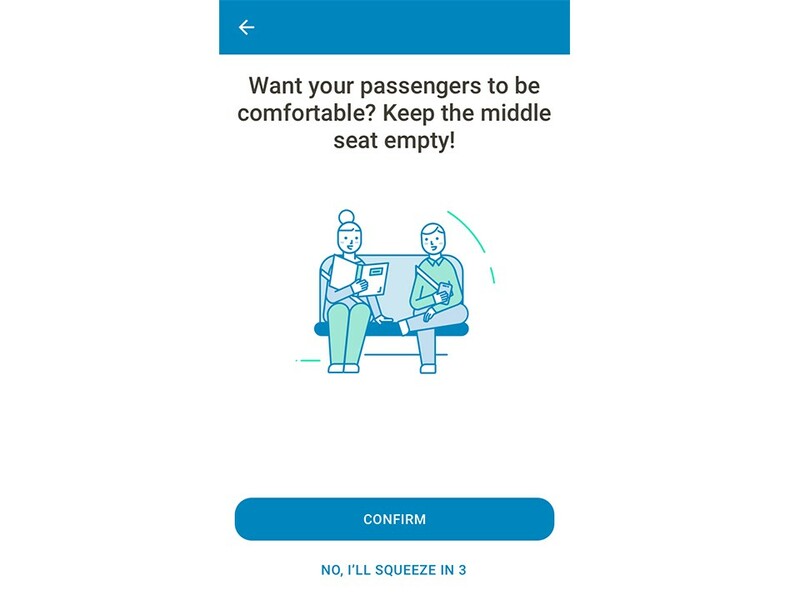 We also completely reformulated the way we advise users to limit the number of passengers and keep their middle seat empty. There were countless other examples. Our final interface copy didn’t follow the user conversation word for word, but its utility was greater than that. It was the foundation of our entire design. Over the next few months, we explored, debated, iterated and simplified. But the user conversation remained a solid reference point which kept us focused on the user’s real needs. By the end, we had ourselves a new, intuitive, human flow that was a million miles from our previous form-based screens. 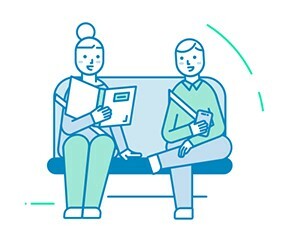 Despite an increase in the number of screens, the same percentage of users completed the flow, and it led to drivers creating “better quality” rides and getting more bookings from passengers. Mission accomplished! Zeynep was now a model of PM serenity, and Martin a pure bundle of UX joy. But that’s not all. The user conversation had worked so well that other PMs and UX designers started using it for other projects. It even became the very first step; people were writing it before they even so much as drew a workflow or opened a Sketch file. Each time we write a user conversation, it tells us what we should ask the user to do, what order we should ask her to do it in, and what we should say to her at every step. It forces us to always respond to our users’ needs. Start by working out who your user is. Who are you designing this page, flow or feature for? Think about what she’s come to your product to do, and what context she’s in — for example, is she trying to do something quickly and get on with her day, or is she taking her time over a big decision? How is this context affecting the way she feels — is she nervous, excited, uncertain? Write out the conversation you want to have with her. Don’t overthink it. You all know how to talk to other humans (well most of you do, anyway). So just write it. Start designing, with the user conversation guiding you at every step. Enjoy an intuitive, human design that responds directly to your user’s needs! The chattering about content remains soft, but it’s getting louder. And for good reason. Content can be the centrepiece of your design process, the pathway to building a more human product. So try out the user conversation and tell us how it works for you. And if you have any of your own techniques, tell us about them too! It’s time to turn the chattering about content into a roar. Thanks to Becky Hirsch and Martin Boisramé. Senior Content Strategist at Shopify, formerly BlaBlaCar. I write about designing with words, designing international products, and designing design systems.